Just as a brick and mortar business has its window display and signage, an online presence has to have its own window display. This is where social media covers can play an integral part of a social media presence. The window display has one overall goal – to invite people to learn more about the business. It has to be inviting and intriguing enough for people to want to check out what you have to offer. 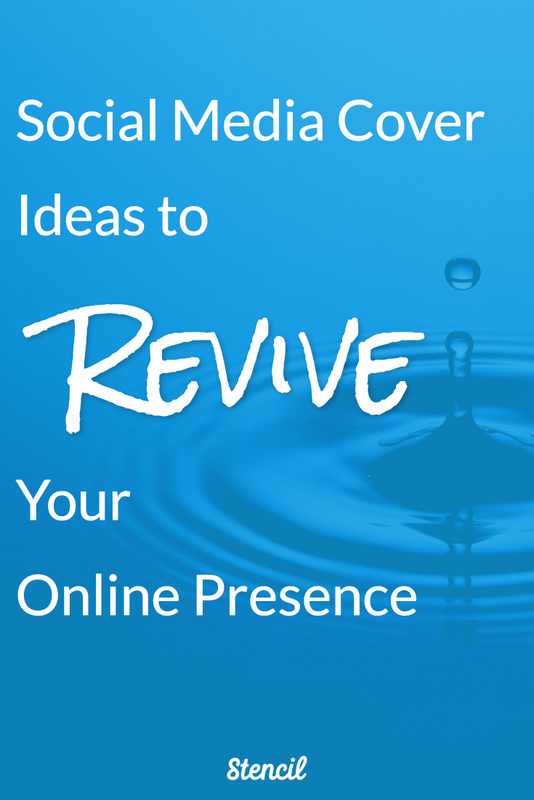 Today we’re going through social media cover ideas to revive your online presence. We’ll also cover easy tips on how to create the social media cover you’re looking for in Stencil. There are several ways to create a social media cover to drive in leads and potential customers. It all depends on the type of business you have and what your main goal is to achieve. The great thing about social media covers is that it can be easily changed when there’s a special promotion, holiday, or simply keeping the online presence fresh. Decide what type of look you want to display and keep it relevant to business. Show your personality, your enticing offer, or inspire your audience to click on like or follow with a design that gives a bit of a story about your business. I suppose a restaurant can show stacks of gooey pancakes with syrup spilling over them and people will flock to eat at the restaurant. How many other pancake house type restaurants are out there in the world? You certainly have to stand out from the crowd. Denny’s does an amazing job with a fun Twitter cover and account. Of course, an octopus can’t eat pancakes but it sure is funny. Their account also displays the silly tweets to show off their personality. They truly get customer’s attention and social media engagement. A fun image for a professional business can sometimes be hard to work out. How about adding a question or phrase that can tap into a customer’s pain point? People are looking for a solution to their business problem. Its obvious WordStream does a terrific job in using a fun photo on their social media cover and adding a typical question they most likely get, ‘How can I boost my PPC results?’ It’s enticing and will most likely get click-throughs to learn more about how a business can accomplish it. McDonald’s is the boss on promotional ads, billboards, and even social media covers. They display their products and text to indicate they have a product in varying sizes for each person. It’s an enticing offer and they are resolving a person’s pain point – hunger. A culinary institute can easily display mouthwatering food and people will follow. However, Culinary Institute of America has a Facebook cover that’s rich with color along with text that inspires cooking as an art. Another form of inspiration is an authoritative-type cover to show expertise and leadership. Mari Smith presents her Facebook cover with authority as a top Facebook marketing expert and social media thought leader. 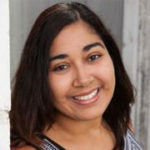 A business owner looking to market through Facebook and other social media avenues would be intrigued by her cover, as she clearly demonstrates she is one to follow and to learn from. Show personality, resolve a point point, and inspire with social media covers! Once you’ve discovered the type of social media cover that’s right for you, then you can create them for a variety of social media platforms in Stencil. First, choose the type of social media cover you’d like to design. Simply click below the canvas where it states the type of image it is. This is where a menu pops up with the option of Headers. 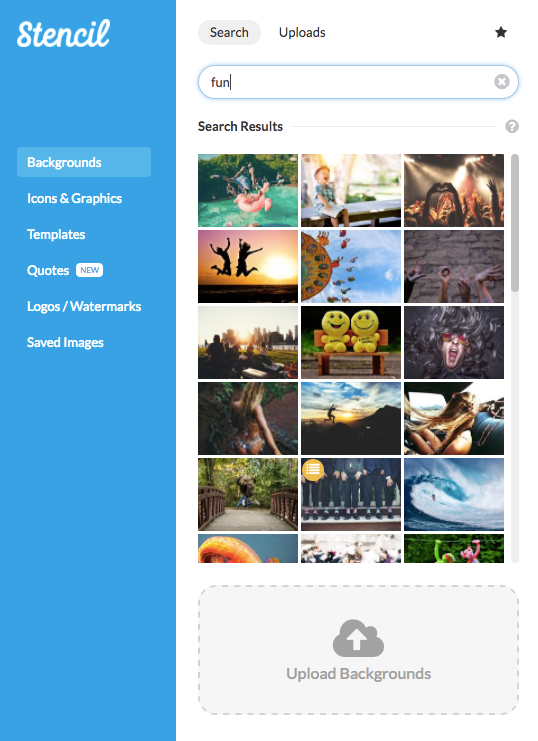 In the Headers section, it’s a simple click to change the image into a different social media cover. You can have all social media accounts look the same or change it slightly. A goal of creating a social media cover is to keep it recognizable to the brand. You don’t want to have completely different images and have people guessing if they’ve landed on an incorrect account. Just like Denny’s, you can find a photo that’s relatable to your audience with a bit of humor. In Stencil, you can search for an image that would be best for your business. If you have a product, you can upload your product image and use text to include a fun quote related to the product. You can also use a color background to keep it simple and use a business brand color. Think of the text to display on the image. Will it be funny, a phrase/quote, a question (like WordStream), or accomplishments to indicate you’re an expert in your field? Quick tip – When placing text, use the center for text and avoid the sides of the image. This will make it mobile-friendly. Keeping it simple will be key! Once you have one social media cover done, a simple click of the Header section to change it is all you need to do. Your social media cover is ready to download. Are you ready to revive your social media cover? Sometimes a social media presence can get a little stale. It’s always good to update a social media cover to promote a new item, inspire, resolve a pain point, and show emotion or personality to get the audience’s attention. Remember your social media cover is your window display and you want people to ‘come in’ to enjoy your product or services. Are there any tips you’ve found in creating social media covers that have helped your business? Let us know in the comments! We’d love to know.